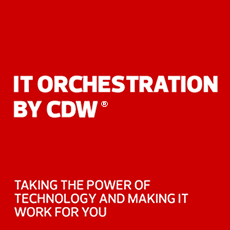 Browse frequently asked questions for more information on CDW IT equipment leasing and lease terms. Note: Leasing is currently available to businesses only. Leasing is not available to individuals. Any company, organization or association. Leasing is not presently available to individuals. Do I need to have a CDW account in order to lease? Yes, you must have an assigned CDW customer number. If you do not know your customer number, please contact your account manager. If you are new to CDW, call 800.800.4239 or e-mail general sales. How does the leasing process work? Note: You must have a CDW account in order to start the leasing process. Your account manager will work with you to create a product quote for hardware, software, services or any combination thereof. Your account manager then sends the quote to our leasing team. The leasing team reviews the quote and engages the leasing partner who provides the best rates and terms. Your dedicated leasing specialist is also available to answer any questions. To view contact information for your leasing specialist, go to your account team page. Within approximately four hours, the selected leasing partner creates a planning quote that provides a ballpark estimate on costs and structuring. Your account manager will share this quote with you. Please note: sometimes preapproval is granted without providing financials. Other times you may be asked to supply your last two years of audited financial statements or tax returns and/or your D&B number. If required, CDW and our leasing partners are willing to sign a Nondisclosure Agreement (NDA). If, after reviewing your estimate, you have any questions or would like to see your deal structured differently, your account manager engages with the leasing specialist and the leasing partner to answer any questions. It is not unusual for a leasing quote to go through several different iterations as the product quote and the requirements are finalized. Once you are satisfied with the terms, you will receive a firm quote from our leasing partners. Normally a firm quote takes 24 hours to be completed. After the lease documents are completed by you and returned to the leasing partner, CDW will receive a PO that will allow us to deliver your products and services. You are responsible for completing all paperwork and contracts with the leasing partner. What types of leasing do you offer? How is the monthly payment calculated? Your monthly payment is determined by a Lease Rate Factor — a periodic rental payment to a lessor for the use of assets. Lease Rate Factor x equipment cost = your monthly payment. What if I have problems with the equipment I receive? You will be contacted when your shipment arrives to ensure you receive exactly what you ordered. After your initial receipt of the equipment, CDW will troubleshoot problems or replace equipment as defined in your warranty. Lessee receives benefits of all ”buyer“ warranties and is responsible for maintenance. Who owns the leased equipment? The leasing company, as lessor, is the owner of leased equipment until you choose to purchase the equipment at end of lease. May I end my lease early? The ability to terminate a lease early is determined by the terms of the lease, but it is a rare situation that would make terminating a lease during its term an advisable option. If my company is new, can I still lease? Yes, pending credit approval. A security deposit may be required. Can equipment be purchased at the end of lease? This depends on the leasing company and program. In many cases, the lessee can choose to continue to lease, purchase the equipment or return the equipment to the leasing company. The lessee is responsible for maintaining the equipment. How does the lessee account for the lease? The options you choose upfront may have tax and accounting implications. Talk to the leasing company's specialist and your accountant to determine the best options for you. In most cases, you may have the payment set up to automatically debit your bank account or the company will invoice you. How much do I have to pay upfront? This depends on the leasing company and program. Typically, you will not be required to make any advance payments. The leasing company will invoice the first payment after you receive all of your equipment. Individual lease details will vary depending upon the terms offered by the leasing company. Want to learn more about leasing?